Track made from scratch by Dave Ott. 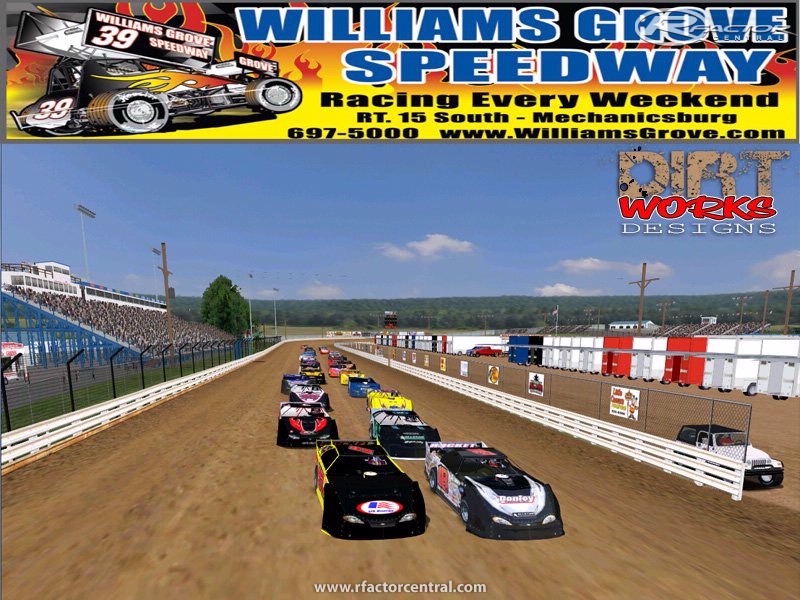 Williams Grove Speedway is a half-mile dirt race track located in Williams Grove near Mechanicsburg, Pennsylvania. 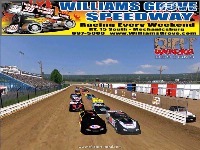 There are currently no setups for Williams Grove by DirtWorks Designs. Add a Setup. OK, so there is no download link here for this track. If you go to Dirt Works web site, you can go through the registration process but then they won't send a confirmation email so therefore you can not log in. What is the problem. I would like to get some of these tracks that you can't download from here. Ok, So I LOVE this track, but i also love to tinker with the graphic settings of my gpu. I have almost everything max and the scenery was beautiful. Now, however, the guardrails do not show up during a race session, nor does any other greenery for that matter. I have messed around with the gpu settings countless times, and cannot seem to get it back to the original way again. What should I do now? Any help appreciated.